So how was your Thanksgiving? And beginning of December? Don't worry, I'm slacking for a reason. I'm working on something BIG and have got some fun news to share at the end of this year....the best part is I'll be blogging a heck of a lot more regularly after I share the big news, so just sit tight and bear with me as I post a little here and there.... you're the BEST. As I gear up for my 6th annual cookie party, (this years theme - Gold and Glitter - holla!) I've been doing a bit o' crafting and I thought you'd like to check it out? It just may come in handy for your holiday table! For said cookie party, I make about 30+ "cookie identifiers"so people know what they are eating. When I was hand stenciling the gold chevron pattern on each identifier (yup, I'm THAT dedicated), it occurred to me that I could also use these for place cards. So voila! 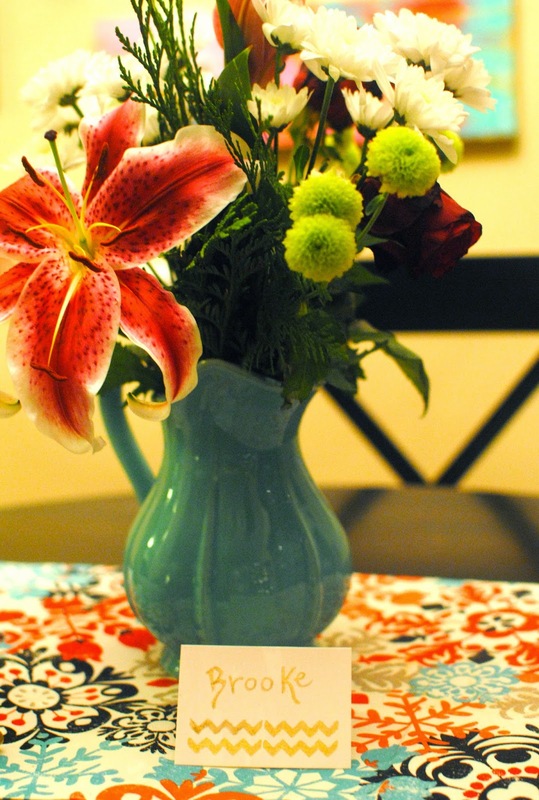 A DIY holiday place card in literally under 2 minutes. The adhesive stencil comes in a kit from Michaels and there are several different patterns. I chose chevron for mine. The adhesive is not too sticky, so it peels off easily when you're ready to stencil the next card. Then I colored it in with gold paint pen. This takes borderline no skill and can be done whilst watching television. Write in the names of your guests, or for purposes of my blog post, my beautiful niece Brooke. 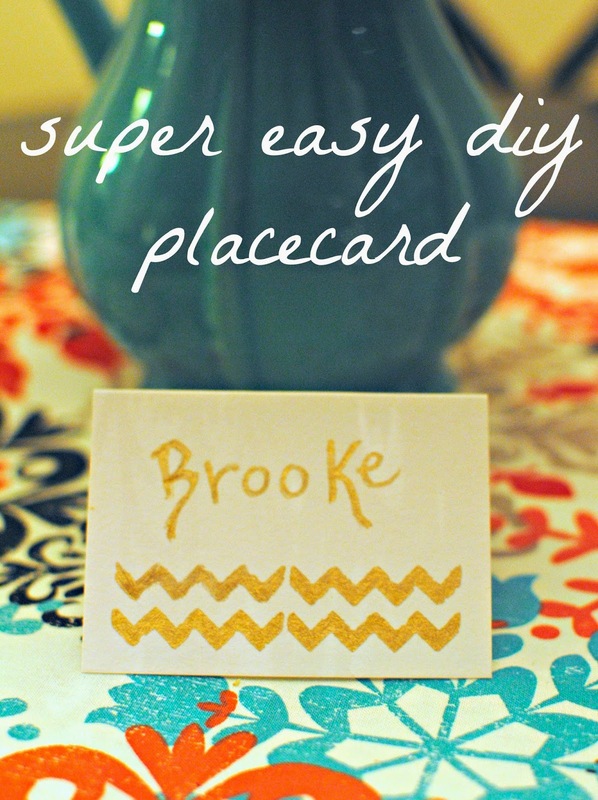 I hope this little craft inspired you to do a little DIY for your holiday table! Can't wait to share the gold and glittery pics from our cookie party next week! Cheers and cookies!